Russian Hebraist and teacher; born at Radom, Russian Poland, Sept. 18, 1853. He was a pupil in Talmudic literature of Samuel Mohilever, chief rabbi of Radom; and at the same time studied Hebrew, German, and French. 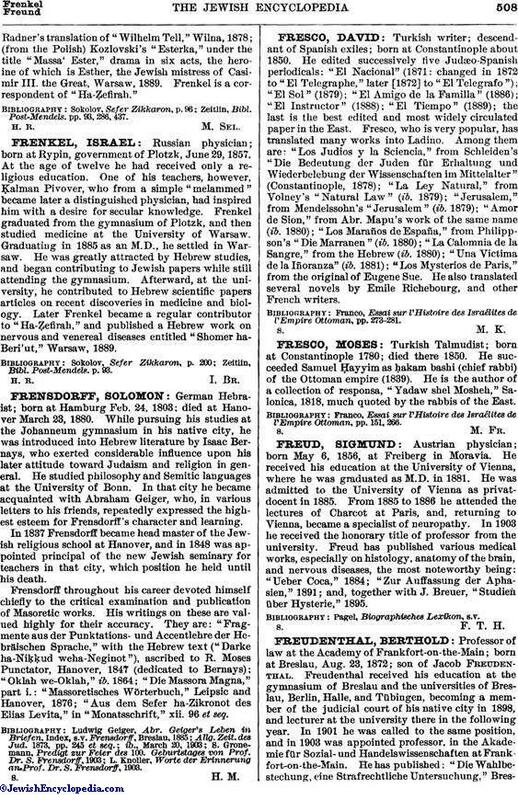 Frenkel has been a teacher in the Talmud Torah at Radom since its foundation in 1882. 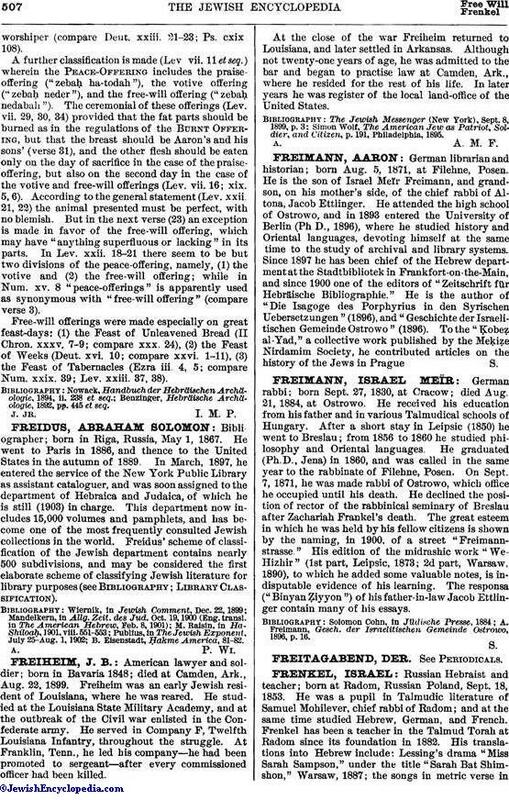 His translations into Hebrew include: Lessing's drama "Miss Sarah Sampson," under the title "Sarah Bat Shimshon," Warsaw, 1887; the songs in metric verse inRadner's translation of "Wilhelm Tell," Wilna, 1878; (from the Polish) Kozlovski's "Esterka," under the title "Massa' Ester," drama in six acts, the heroine of which is Esther, the Jewish mistress of Casimir III. the Great, Warsaw, 1889. Frenkel is a correspondent of "Ha-Ẓefirah." Zeitlin, Bibl. Post-Mendels. pp. 93, 286, 437.